This Victorian mansion, a limestone beauty at 26 South Oxford Street in Fort Greene, is so spacious that you can fit an entire two-bedroom, two-bathroom co-op on just half of one floor. (There are eight units in the mansion total.) Now on the market for $1.1 million, the apartment boasts quirky, modern upgrades to the historic interior with details like carved woodwork and a beautiful bay window in tact. This shotgun house in East Bed Stuy (asking $775K last December) needs to move over: there’s another stubby property in town. And by town, we mean the neighborhood of Greenwood Heights, Brooklyn, located just south of Park Slope. The two-story home comes with two bedrooms, one-and-a-half bathroom and the opportunity to expand. The question is, would you pay just under $1 million for it? 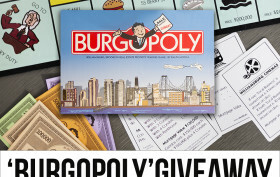 LAST DAY to Win a ‘Burgopoly’ Board Game, A Williamsburg-Themed Monopoly! The Bronx has its own hot sauce, Bushwick has its own candle, and now Williamsburg has its own board game, thanks to Compass broker and Williamsburg resident Ralph Modica! “Burgopoly” is a BK-themed version of the classic real estate game Monopoly, taking players through the trials and tribulations of living in NYC—think bedbug infestations, your tub overflowing and the end of tax abatements on your condo (eek)—while setting them in Brooklyn’s trendiest neighborhood. Although the game isn’t for sale (Ralph created it for clients who meet him at the closing table), 6sqft has paired up with the Modica team to give away THREE Burgopoly board games to THREE lucky readers. The last day to enter is Thursday, April 14, 2016. Brooklyn is one of the shining examples of New York’s crazy strong real estate market, where prices seem to have no limit. 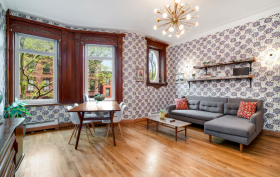 Case in point: this three-family townhouse in Bushwick, a neighborhood typically known for cheap rents and warehouse loft apartments, that is asking $1.25 million. 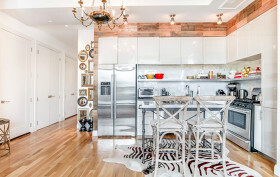 Sure, this pad—located at 1108 Madison Street, off the Gates Avenue J train—is nice, but that’s a lot of money. It’s even more surprising to know that the seller purchased it only two years ago, in May of 2013, for $633,000. 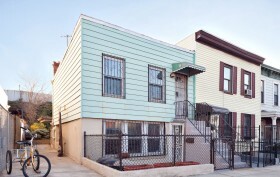 From $633K to $1.25M in two years…that’s Brooklyn real estate for you! 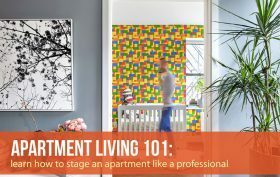 Charming, cute, quirky, lovely: these are all words commonly used to describe well-designed Brooklyn apartments. And we’re going to use those words to talk about this one too, at 173 Hicks Street in Brooklyn Heights. 173 Hicks is a five-story brick townhouse built in 1827, and this duplex co-op apartment occupies the garden and the first floors. (There’s also a super-special, super-huge backyard included, which we’ll get to in a bit.) The current owner has decorated well, and the apartment has more of a modern, fun vibe than a historic, stuffy one.